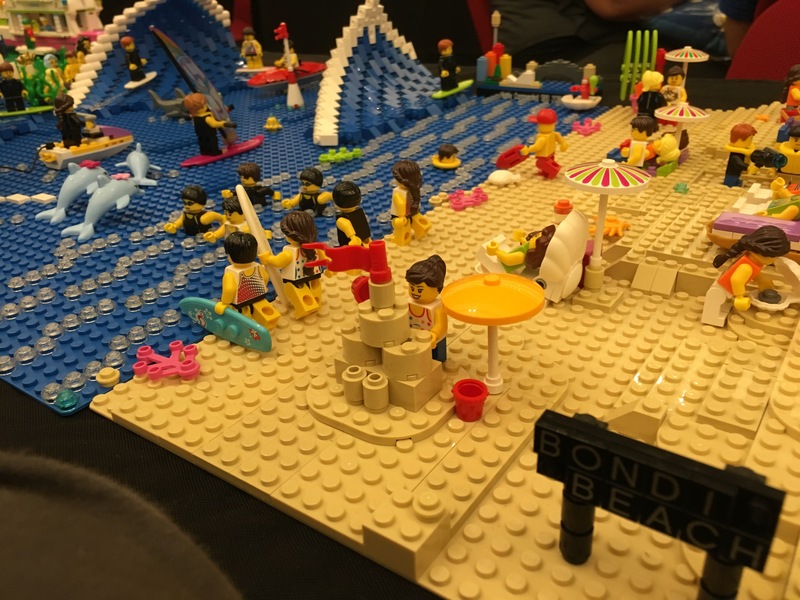 Happy 5th Birthday to the Sydney Brickshow! We’ve attended four out of the five shows in Sydney; Sinister won a place as a Junior Builder in 2013. Each year the show is an absolute hit with the kids AND the bigger kids. It’s a huge exhibition for Lego fans to show off their designs. 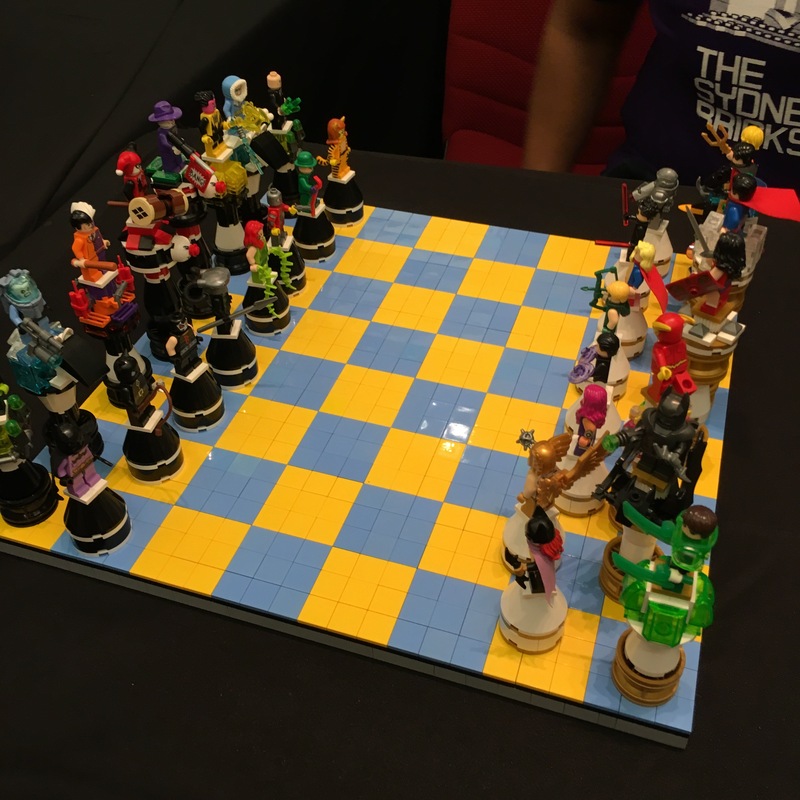 This is not an official Lego show; these are fans who create displays that combine sets with free play – just like every spawnling dreams! Check out the beach scene – you won’t find this as a set in any store. You’re going to have to cannibalise whatever you have at home. But it’s not just a flat Lego scene. Look at the barrel in that wave! The use of the linked bricks! And they move! That’s an added level of creativity. Sometimes the fans just want to build their fandoms, whether or not Lego has released a set. This year had a stand-out Pokemon display. Not only were the Pokeballs impressive (see above), the complete layout for the original opening route was equal parts nostalgic and inspiring. That’s the secret weapon of these local exhibition shows – not Lego itself, but the ability to inspire you to go home and create. 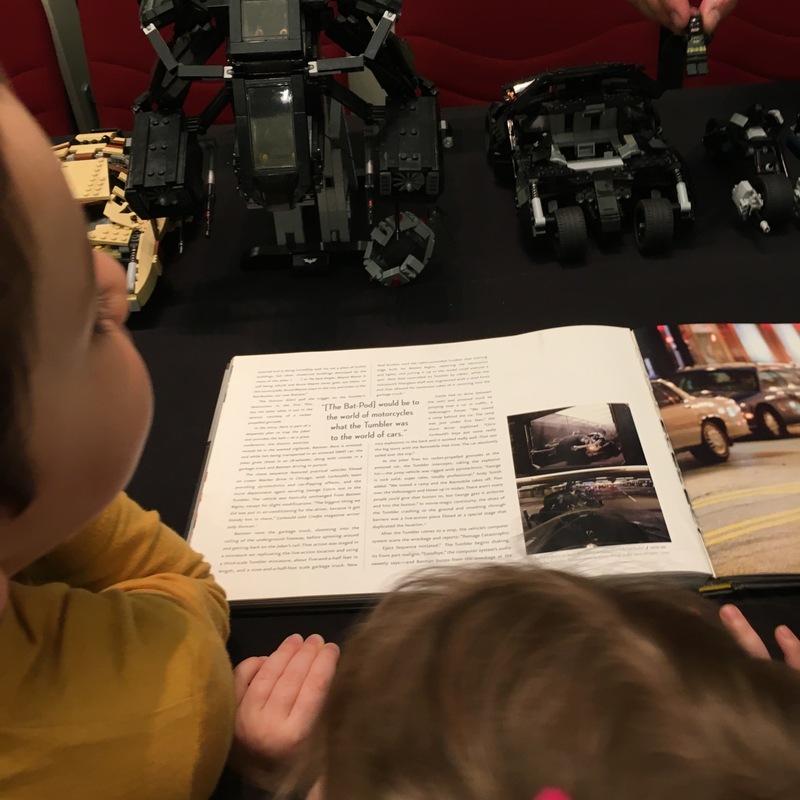 I overheard one parent comparing the Sydney Brickshow to the other hot Lego ticket in town, Nathan Sawaya’s Art of the Brick: DC. Both exhibitions are designed to inspire; both show the endless creativity available with Lego as a medium. But while I love Nathan’s ability to show play as an art form, I also love the approachable nature of local exhibitions. For me, the star of the show (for this and ALL the Sydney Brickshows I have attended) was this guy: Henry Pinto. He just started this year – won Best Newcomer for 2016. Built the above chess set for his son to learn how to play, as well as a very cool collection of Bat-vehicles. Not only was Henry willing to show how he made his chess set, he actively encouraged the kids to recognise the pieces they may have at home. He is interacting with his audience and showing them how to do it too. He is sharing stories with them! He knows about being a Lego fan and shares that. This all happened so quick and so naturally, I’m lucky to have caught it at all! 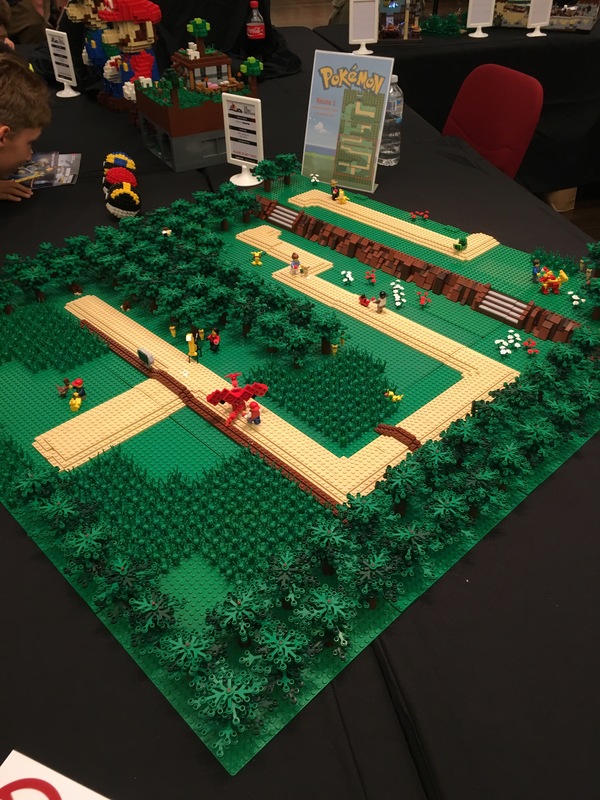 While we love all the exhibits and will definitely be back next year (maybe junior builders again? ), Henry is the guy I will be looking for. All photos from our visit will be posted on Facebook, Instagram, and Twitter. No sponsorship – happily paid for our family tickets as the money supports a fantastic charity, Bear Cottage. Halloween is just around the corner. Seriously. It’s like Saturday. This Saturday. If you haven’t organised yourself yet, you’re kind of in trouble. Or super-relaxed. In which case, I like your style. 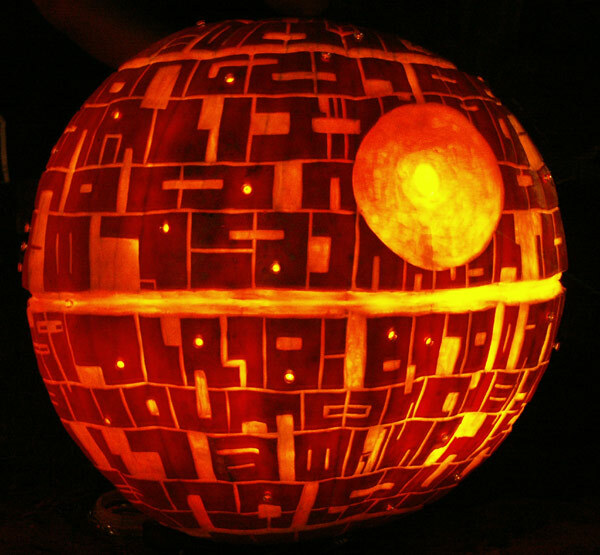 Pumpkin carving, however, is one of those Halloweeny things you really should have thought of earlier. Because now you’re tight on time. And out of ideas. And stressing over whether the crappy idea you have scavenged from the interwebs is going to be a ‘nailed it’ nightmare for your spawnlings, ruining yet another holiday memory you so desperately were trying to create. *sigh* Chill. I got this. There are a whole stack of stencils available online for you to start with. For example, the official Pokemon website has provided free stencils of some of their scariest monsters, including Meowth, Duskull, Gengar, Pikachu, Sableye, and Zubaat. Sweet little score. 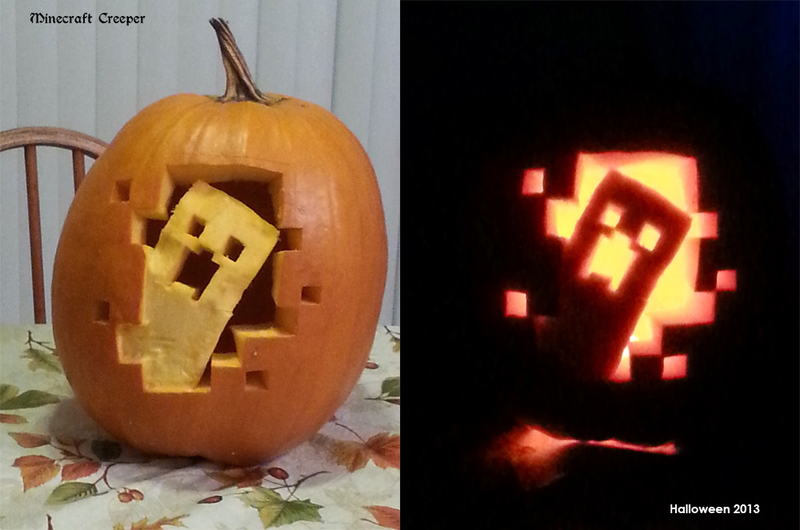 If you’re spawnlings are a little more Minecraft crazy, then remove the pumpkin from their heads and show them how to carve this awesome creeper instead. Details can be found with Hudson Visual. Of course, jack-o-lanterns aren’t supposed to be too cute or popular. I also like this Cthulhu carving – simplistic in its glory. Full credit to Tony Gambone for his photo of this beauty. Full instructions for the Death Star are found here, however you could very easily be distracted by all of their other marvels – TARDIS; Anger (from Inside Out); Dragons; you name it. It’s awesome. Congrats to Noel Dickover at Fantasy Pumpkins. Absolutely love your work. In the spirit of Christmas/Hanukkah/Solstice/Ninjamas, I walked away from this argument. However, in the spirit of Ninjamas, I definitely knocked her down a peg or two. This woman was trying to convince me how Pokemon is evil. Naturally I agreed with her. Pokemon really is an Evil Genius Tool. But I don’t think she appreciated my reasoning. Let’s start at the obvious – Pokemon is owned by Nintendo. Sure, it originally started as a Gameboy feature (remember those?) but then it’s commercial viability became a tad obvious so Nintendo bought it and started flooding anime, manga, toys, books, magazines, and my favourite – trading cards. If there is ever a way that you want to control a generation of kids – bring it out in trading cards. The little spawnlings go uber-competitive over the varying strengths and destructive value (love it). So of course, they want to buy more cards. And here is the beauty – you can then watch young kids learn the value of individual cards and negotiate/bargain/extort accordingly. Some of these kids could teach a few commercial lawyers I know! All the separate values of the characters, plus the damage and danger – it’s amazing to watch in action. And all this over a printed piece of cardboard. Skills they learn for life. So I’ve already touched on the negotiation/bargaining/extortion skills within Pokemon. But there is more – the trading card game is quite educational on the ground level. And once you know how to exploit this, any spawnling can convince any adult that Pokemon is good. This can lead to stacks of cards from inexperienced parents and grandparents, as well as convincing principals to allow Pokemon in schools. Old article from last year, but I have heard of the same argument being used in many schools around the world ever since. Telling this to EG Grandma and EG Opa has scored about a dozen full-size packs over the last year between our two spawnlings. Grandparents think they are tricking the kids into educational activities; Spawnlings know they are tricking the grandparents into buying them more cards, even when EG Mum has said earn the spending money yourself. Win-win; especially as I watch on in amusement. My final point is on the strategy of the game itself. You have to capture pokemon and enslave them to do battles for your own benefit. A bit like recruiting minions. In battle, the greatest of champions have a deep understanding of the strengths and weaknesses of the characters – and the players themselves. Have you ever seen a live-battle between two Trading Card Game players? It is intense, and inspiring. There are threats of clawing your (pokemon’s) throat out; claims of dirty play; screams of agony as they run out of energy (cards); and moans of despair as the last trophy card is turned over. It’s like WWE, but without the visual impairment of seeing the players in spandex. Bad spandex. As entertaining as it may be, the strategy is quite amazing to see. I have watched as a 7yo determines the favoured style of pokemon in his opponent, readjust his approach accordingly – and willingly sacrifice his current pokemon to ensure that he can then move a subsequent card up and smash his opponent in such a way, the poor 28yo guy sniffed back a tear. If Pokemon teaches Sinister and Nefarious skills like this, then I think my legacy is in good hands. Naturally, pointing out these 3 chief values (for me) to this Other Mother did not help my argument. I think the response was more like fear – quick glance at her son watching Sinister and Nefarious battle it out. So, in the spirit of Christmas/Hanukkah/Solstice, I walked away. Don’t even have the heart to tell her about Monsuno. Think Pokemon but with more genetic engineering. No commission, credit, or any other form of bribe was received from this post. Should have been – with the amount of money my kids are investing in this venture. Well played, Nintendo. Well played.